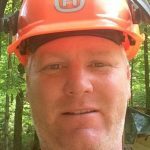 UNION, CT – Perry Sawyer is currently the only certified Master Logger based in Connecticut, but he is used to being on his own. His company, Sawyer Logging, owns two skidders, a loader/slasher/delimber, and a feller buncher, but Perry operates all of them himself as a one-man logging crew. In 2001 Perry was living in Denmark, Maine and bought a 640D John Deere cable skidder and started logging. He spent the next couple of years working in southwestern Maine. Then in 2003 during the down time of mud season he was looking for work and found three jobs in Connecticut, where he grew up. “Three jobs led to four and four led to five and I realized there was a good hardwood saw log market here, a good firewood market, and the rest is history,” Perry said. Perry has conducted sessions with Yale environmental science students educating them about professional logging and believes that sort of outreach can have a huge effect in the future as those students earn degrees and end up in decision-making positions. His company has remained a one-man operation in part due to the high cost of insurance in Connecticut and the difficulty of finding qualified workers for mechanized logging, though at some point he would like to expand if adding employees became financially feasible. 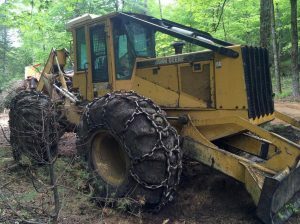 There are the usual challenges for loggers in Connecticut that loggers face everywhere; weather, equipment and repair costs, and changing markets. Events as far away as Maine have a ripple effect on his company, and he’s had to get creative to find markets for some lower-value wood such as establishing relationships with truckers delivering saw logs to Connecticut from states like New Hampshire who are happy to truck a load of low-grade hemlock back to New Hampshire to avoid traveling empty. There are signs of emerging markets such as bark mulch production in his area, and although some markets such as paper production are declining he is optimistic about the future of logging, and of his own company, Perry said. 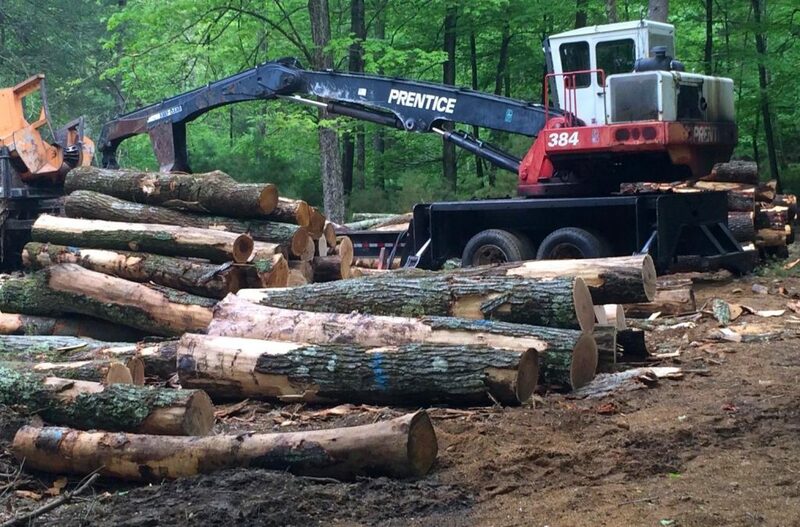 Master Logger Spotlight – Treeline Inc.
Mary Jane Sylvester on Master Logger Spotlight – JBR Logging Inc. Toll-free anonymous hotline for comments on Master Loggers' work.